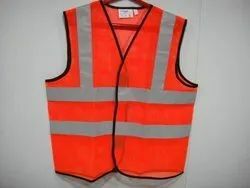 Our range of products include safety jacket, safety reflective jacket, safety suits, boiler suit, side opening jacket and 3 side opening jacket staff executive. We are the manufacturer and dealers of all safety products . 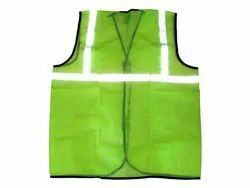 Safety jacket is more Comfortable to wear and light weight; Good quality; Bright green colour for visibility; Perfect sitch and excellent finish. 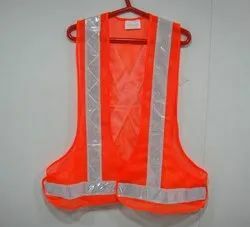 Reflective Safety Jackets are used by person working insensitive and dangerous areas. Police and Security persons use to segregate themselves from a common man. These safety jackets increase the visibility of individual at night and poor light conditions. 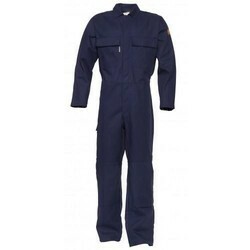 boiler suit can be costomised as per requirement. branding can be done. MATERIAL: 65% Cotton & 35% Polyester crafted in 245 GSM. Pocket Style with Back & Front Embroidery, Reflective Tape EN Approved for 50 wash and CFC 2 Way Zippers Closure. Machine wash with Maximum 30 degree hot. 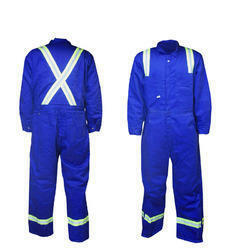 Food Industry, Factories, Industrial Use, Corporate Wear, Workwear, Safety Coat. 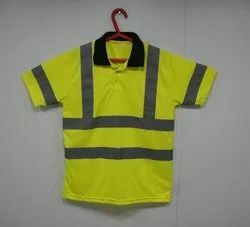 We are the manufacturers of Reflective T-Shirt . can be customised as per the requirement. 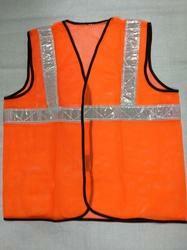 We are well known entity catering the extensive range of supreme quality Airlines Safety Reflective Vest. 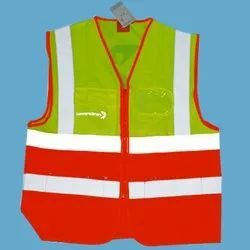 Specially designed to render safety to the core in aviation industry the offered jackets are widely utilized by foremen at airports. 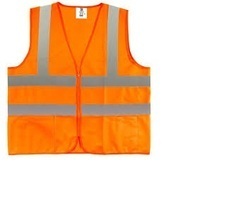 These vest are fabricated with highly reflective 3M Scotchlite 8906 reflective material which offers high visibility. 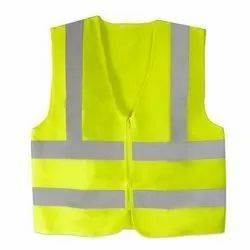 Developed with two contrasting colors for increased reflectivity the offered vest can be ordered from us at a nominal price. Adjustable hook and loop closure to fit most users. 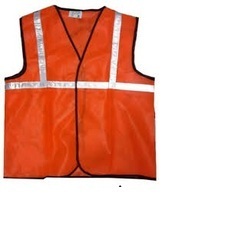 We are Leading Manufacture and Supplier in Reflective Cross Belt. Our strong domain expertise equips us to develop the finest grade Reflective Cross Belt. These belts offer optimum safety solutions in industrial working conditions. Designed to be worn over the uniform these belts feature easy front opening for hassle free wearing. These belts are fabricated from R1-50 reflective material and tested for compliance with strict quality regulations. Further, we are offering these premium quality cross belts at a market leading price. 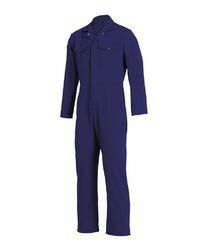 Backed ourselves with modern machines and qualified mangers, we have emerged as one of the leading and most respected manufacturers and suppliers of Boiler Suits. These suits are designed using high quality of PC fabrics. These are supplied in every parts of the universe and are also available in different sizes and features. We do quality checking of these high grade boiler suits before delivering at the client’s end. Moreover, our customers can avail this gamut at cost effective rates. Customised reflective jackets with fabric material, zip and pockets. can be made in very competative price.